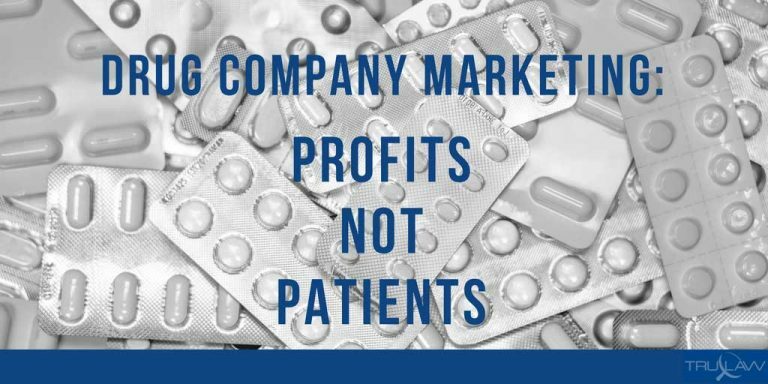 It is no secret that large pharmaceutical companies spend big bucks marketing their drugs, and it has been reported that nine out of 10 large drug companies spend more money on marketing than on research. Not so surprisingly, most of this marketing is directed toward those who prescribe the drugs the companies are trying to sell, not those who take them. In 2012, drug companies spent more than $3 million marketing to U.S. consumers, and a whopping $24 billion marketing directly to medical professionals, according to a Washington Post report. Because pharmaceutical sales representatives often get little or no face-to-face time with doctors, drug companies get around this hurdle with a tactic known as “white coat marketing.” This approach involves improperly promoting medications, either through the use of a third party to deploy nurse educators to promote certain drugs or by providing free nurses and reimbursement support services to doctors in exchange for prescription of certain medications. Bayer also faces thousands of lawsuits concerning its controversial permanent contraception device Essure. In a May 2015 news release, Bayer issued a post-market report on the safety of Essure but failed to disclose that the study’s lead author is a paid consultant to Bayer. In response to a subpoena sent last January by federal officials, Sanofi employees were directed by a subsequent memo to locate all payments made to any patient charity that provides financial assistance to Medicare patients, all agreements with the consulting firm the Lash Group, and co-pays for Medicare payments who are taking two MS medications. While drug makers commonly provide educational and financial assistance to patients, patient charities have been under increasing scrutiny over concerns that pharmaceutical companies are using these organizations to illegally jumpstart the sales of certain expensive medications. Case in point: The Patient Access Network Foundation, the same charity that Pfizer used illegally to pay kickbacks to Medicare patients, also operates Medicare patient assistance programs for both Sanofi multiple sclerosis drugs, Aubagio and Lemtrada. While there is no indication that the Patient Access Network Foundation has done anything wrong in connection with Sanofi, Pfizer recently agreed to pay nearly $24 million to resolve charges that the company illegally used the charity to cover co-pay costs for Medicare patients buying three of its drugs. A new study conducted by researchers at Boston Medical Center found that even picking up the tab for a meal or two greatly increased a pharmaceutical company’s chances of a doctor prescribing their drugs – even opioids – despite an overall decline in opioid prescribing rates. The researchers from Boston Medical’s Grayken Center for Addiction found that doctors who received any amount of opioid marketing increased their prescribing of such drugs in 2015, writing nine percent more prescriptions than those who received no marketing.